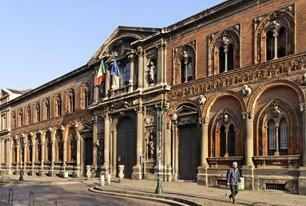 can apply for scholarships offered by the University of Milan. The University of Milan provides able and deserving students with material support during their time at university by awarding them scholarships and grants. Scholarships and grants are reserved for students enrolled on university courses (1st level degrees, 2nd level degrees, single-cycle degrees, doctoral programmes or specialisation schools) who meet criteria such as talent, merit, financial need, disability as established by the competitive examination announcements, issued annually during the summer. The University also awards special grants to students who are unexpectedly faced with serious financial, family or health problems. "Boost your Talent" programme scholarships, for highly gifted and international students.